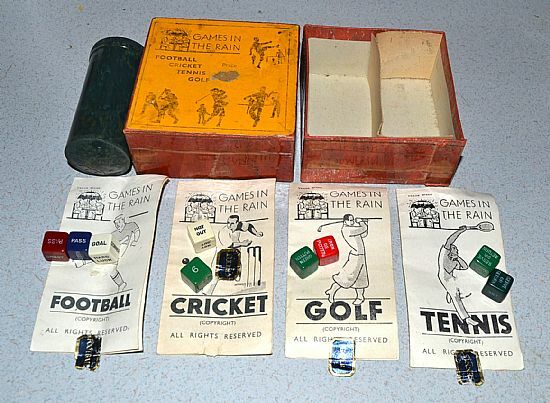 Another example of a Games In The Rain dice game set containing a football game as well as golf, cricket and tennis. 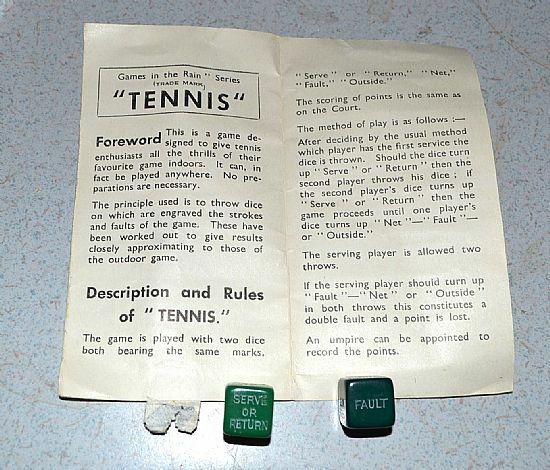 Another set is shown here. 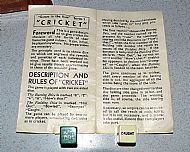 Lovely small box containing four simple dice games with rule sheets and carrying tube. 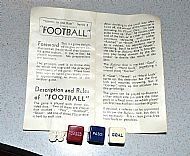 Three dice and rulesheet - the classic game with pass, tackle, shoot etc. 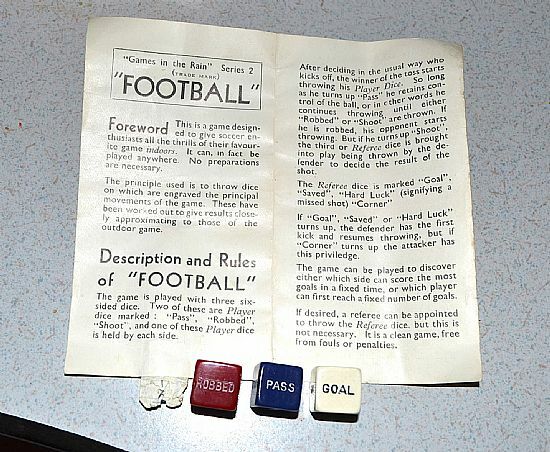 Timeless! 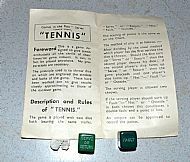 Two identical dice, long rallies are possible. 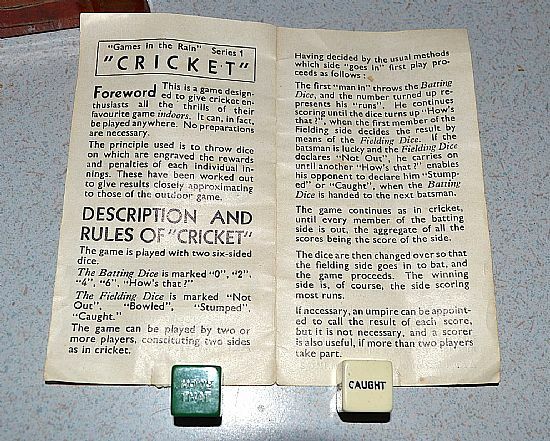 Similar to the well known Owzthat dice game, classic dice fun. 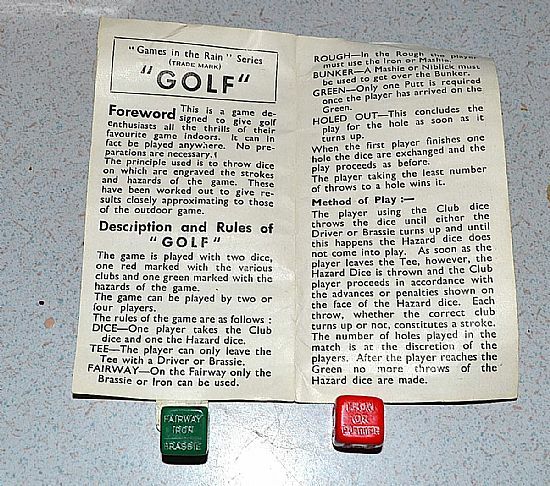 An unusual variant for playing golf with two dice. 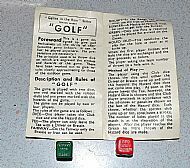 OK who can shed any light on these dice - a trio if dice with BUS TRAM WALK RAIL TAXI TUBE. Must be travel or transport related.